The lights dim. The curtains part. The music soars and the performers take the stage for the Nutcracker ballet. But wait, what’s this? Where are the ballerinas? Where are the tutus? 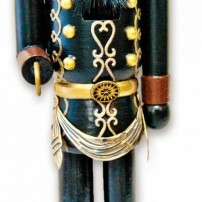 The stage is full of — well — nutcrackers. 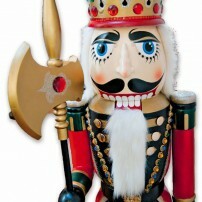 Ever wonder what the Nutcracker would look like if the nutcrackers were in charge? Linna Lawrence knows. 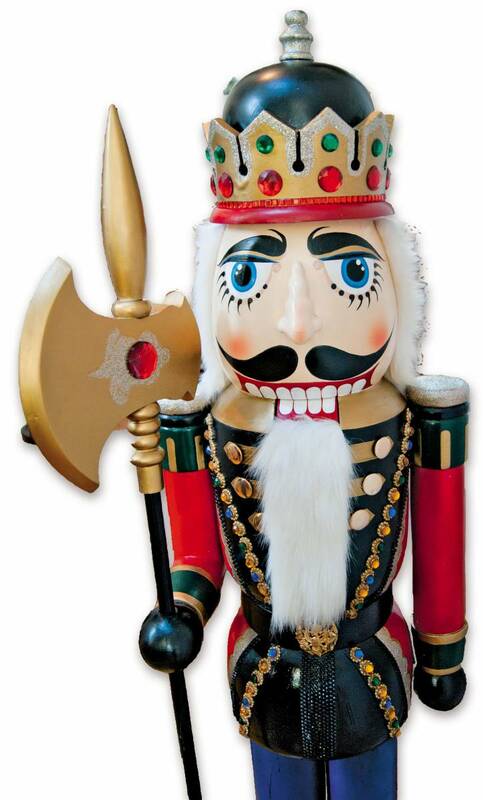 As the creative force behind Notable Nutcrackers by Fauntelle’s Design in Central Valley, Lawrence takes the role of toymaker Herr Drosselmeyer in this performance. Under her skilled hand, neglected nutcrackers take on new life. New faces, new outfits and new identities await the faded, unloved figures that Lawrence rescues from secondhand shops and yard sales. The resulting creations may not plié and pirouette, but they certainly command the spotlight. Her customers aren’t the only ones smiling. The first change Lawrence makes to each of her wooden men is to paint on a grin. She also redesigns the eyes. Her work shows painstaking detail, a testament to her experience as a technical illustrator for Lockheed Martin. The artist uses the nutcracker bodies as empty palettes, applying all new paint and trim. 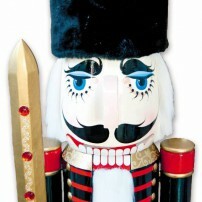 In fact, not only does each nutcracker have its own personality, it’s signed and numbered, as well as being individually named. Gregor sports a black fur hat with faux rubies, gold epaulettes and a drum. The Watchman has a steampunk chic that includes gears, timepieces and a black-and-gold uniform. The baker, as yet to be named, is a large, chef-hatted fellow who holds a checkered towel in one hand and a tea cake in the other. Lawrence embellishes her pieces with faux fur, repurposed jewelry and specialized adornments including swords, shields, scepters, drums and spectacles. 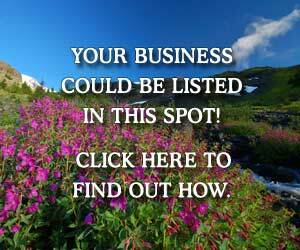 Her workshop is a treasure trove of trinkets. In some cases, she fashions new appendages from balsa wood or deconstructs the figures to make repairs. 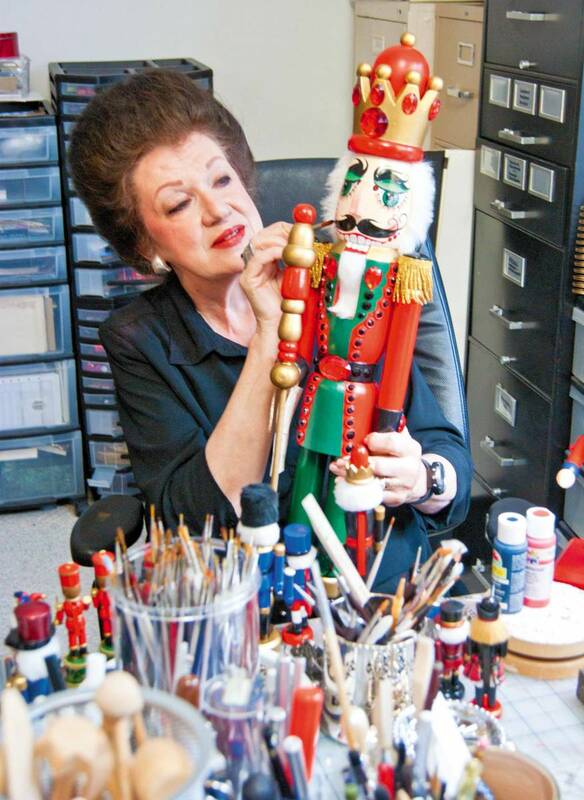 Each of her resurrected nutcrackers receives a minimum six hours of work. As a former art coordinator, Lawrence also knows how to set a stage. 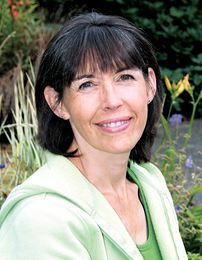 Appropriately, her display at Christmas in the Country at Bainbridge Island’s Yeomalt Cabin will be located on the cabin’s stage. 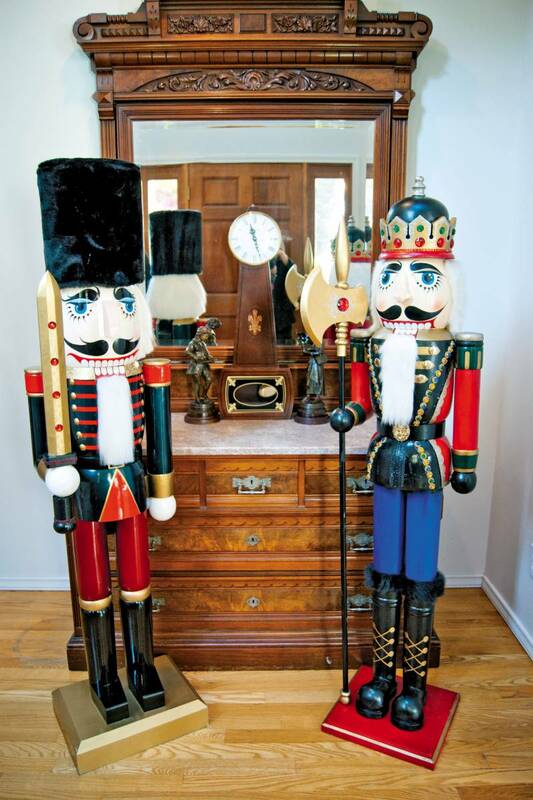 Lawrence’s plans include red velvet curtains, a pair of sentry-sized nutcrackers and a “pencil” Christmas tree filled with her nutcracker ornaments. 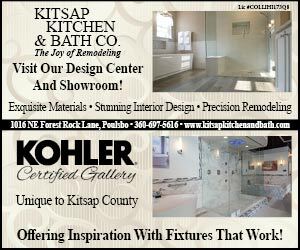 At both this show and the Collage Show at the Kitsap Golf and Country Club, she will have more than 80 nutcrackers for sale. So how does a Linna Lawrence Nutcracker Ballet end? The prince remains a nutcracker. Clara becomes one, too. The snow swirls, the flowers dance and they all live happily ever after.